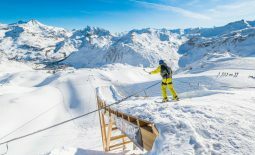 We all know how learning to ski or snowboard goes – you spend your first wobbly day or two of the ski holiday within arms length of the cafes, on a nursery slope as steep as… well its almost completely flat. Then you progress a little further from the ski resort up the hill and find a slightly steeper bit called a green run.. and then a blue piste to go a bit quicker… and so on until you’re taking ski lifts high up the mountain to the top ski lifts where the best snow and most extreme gradients (and rates of decent) are to be found. Often called “the upside down ski resort”, Les Deux Alpes is so named because, unlike pretty much every other major ski resort in the world, 2 Alpes keeps its easiest and nursery slopes at the top of the mountain… and its fiendishly challenging stuff down at the bottom near town. Set your alarm for 15:30 and find a lift down! 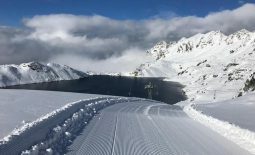 With the biggest skied glacier in Europe you can get plenty of summer piste time in at Les 2 Alpes, but the highest area can be shut down in winter if blizzards make it unsafe. Les Deux Alpes is probably best known as the home of one of Europe’s if not the worlds top snow parks, which is moved up and rebuilt from its winter 2600m to 3200 for the summer season. Near the top, Les Deux Alpes is also linked to the legendary off piste of La Grave – only to be attempted with amountain guide! You wouldn’t believe it if you’d walked and driven around with us, but Les 2 Alpes is also the second oldest ski resort in France (after Chamonix Mont Blanc). A very dificult fact to take in, as you navigate this enormous and modern looking ski town. Arriving for a quick day of work there in early October, we probably couldn’t have picked a quieter time to visit, but we were still amazed by how utterly deserted it felt. Crossing from one empty street into a second, we were stopped by a huge shaven-headed biker with black paint brush in hand. As fickle as I know it sounds, this one encounter completely changed my opinion of the place and its now at the top of the “must go back to” list for this season. As I used to say when making telly, its always about the people. 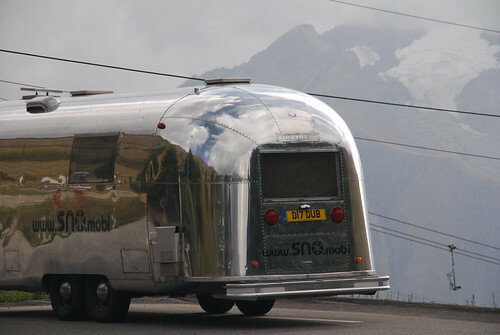 having met only 1 business owner, will Les Deux Alpe “get” www.SNO.mobi ? We put our little post card into pretty much every business and accommodation letterbox we could find but met just one business owner in this entire ski resort – how useful is that going to be for getting SNO known in 2 Alpes? Would you believe that Les Deux Alpes has had one of the biggest responses and new business Listings created since we launched last season! NEXT: La Grave – off piste mecca, but did you know the village was so beautiful, unspoiled and posh! 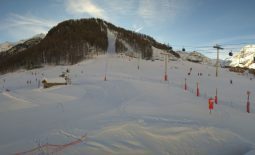 You make a very good point about Les Deux Alpes, it is difficult to return to the resort on skis if you are a beginner. If you are a snowboarder then you will have even more difficulty. 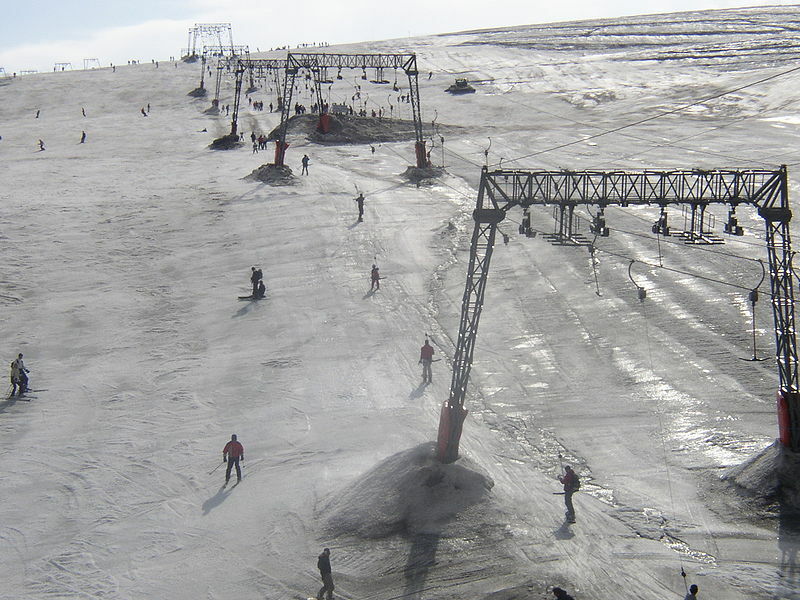 There is the choice of black or green runs to return to the resort. 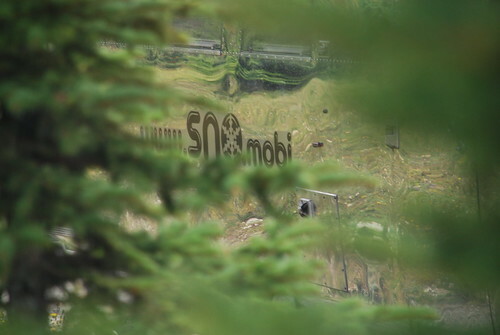 Greens are a real pain for snowboarders so as you point out, give yourself plenty of time to catch a gondola down. Another tip if you are a snowboarder don’t bother with the “T” bar drag lift on the glacier, there is an underground railway that will whisk you up to the top of the easy pistes on the glacier. “T” Bars are probably the worst type of lift a snowboarder can encounter. Not only do they ensure that two snowboarders become very intimate, they are pretty uncomfortable as well! Brilliant – thanks for local expertise John! Let me know if we can promote any of your holidays on mobile-web… also Free of course! I’m really pumped ’cause it just started snowing here and that equates to snow at the local resorts! And also I got my hands on a discount lift tickets card member for a load of resorts! This was a interesting story you did on this website. Ichecked some article about snowboarding targets in god old Europe. Perhaps you like my hints.